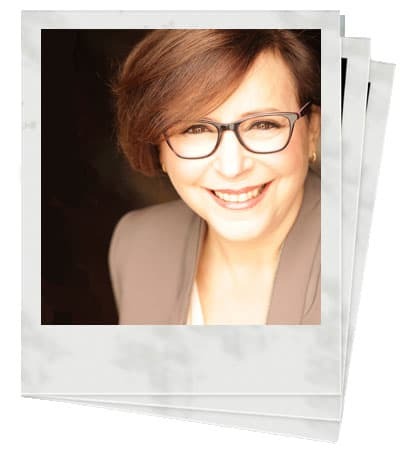 Laurie Brown is a skilled speaker, trainer, facilitator, and coach with a passion for helping people improve their communication skills. For more than 20 years, she has worked with clients in the United States and abroad to strengthen their ability to build rapport, improve customer service, generate sales, navigate workplace dynamics, lead teams, and command a podium. Having worked on four continents and numerous countries, including the United States, Canada, United Kingdom, Panama, Japan, Mexico, Australia, and Thailand, Laurie is comfortable with national and international groups alike. Ford, Lockheed Martin, Avaya, American Airlines, SAP, Lear Corporation, New York Cancer Center, Baylor College of Medicine, Outward Bound, Firestone Tire, Arizona State University, SAIC, Sun Chemical, Denso, Hyatt, Accenture, KPMG and a host of other organizations have worked with Laurie. Prior to beginning a professional career in acting and film, Laurie held multiple service and sales positions in industries from retail to hospitality. Although she didn’t know it at the time, her experience in those early jobs laid the foundation for her understanding of customer service, human relations, sales, and employee engagement. As an actor, Laurie landed a range of roles. In addition to movies and television, as part of her work in front of the camera, she found herself frequently cast in workplace training films for clients in the automotive and banking industries. She acted in dozens of videos for such companies as Ford, Volkswagen, and General Motors. While playing customers, service providers, and salespeople, Laurie discovered she had an innate talent for teaching. When an opportunity to conduct live training classes via satellite distance learning presented itself, she leveraged what she knew about audience engagement, service, and sales and shifted her focus to facilitation. While conducting distance learning courses, Laurie developed a reputation as an interactive, thoughtful, and knowledgeable trainer. When several of Laurie’s clients added in-person training to their talent development initiatives, they hired her on their teams. For several years, she worked as a classroom trainer, refining her craft and building her knowledge of interpersonal communication, customer service, sales, leadership, presentation skills, and facilitation. With thousands of hours of facilitation behind her, Laurie’s work expanded beyond the automotive industry to include training and facilitation for pharmaceutical companies, hospitals, healthcare practices, hospitality groups, governments, nonprofits, libraries, and others. Laurie joined Business Training Works in 2011. Laurie’s articles and interviews have appeared in Entrepreneur, The Christian Science Monitor, and multiple trade magazines. Laurie studied communication at Eastern Michigan University. She is Certified Speaking Professional (CSP), a designation awarded by The National Speakers Association. She is also a Gitomer Certified Speaker, Training for the Back of Room (TBR) Certified Trainer, and certified DISC administrator. For more than three decades she has belonged to SAG-AFTRA. How do you tailor your approach to meet the needs of a client? I think it’s essential to ask questions and listen. My job is to understand what’s driving a request for our work, confirm the goal, and then to design a training, coaching, speaking, or facilitation solution. How has your acting experience influenced your corporate work? As an actor, I learned how to take direction and listen, and I learned how to work with other people. I also got a lot of practice using visual, vocal, and verbal communication – three elements that are the foundation my work today. What are your favorite topics to facilitate? My focus is helping people improve their communication. It’s what I think about, it’s what I read about, it’s pretty much what I’ve devoted my life to doing. Whether I’m facilitating a presentation skills program, leadership course, customer service workshop, or some other topic, the core of the curriculum is persuasive communication. How do you design your programs? I’ve seen a lot of training in my career. The good is really good, and the bad really bad. I believe good training has a defined goal, is interactive, and if possible, it’s fun. To design my programs, I work backwards. I first need to know what people want to achieve or accomplish. From there, I create activities or learning experiences that support the program’s goals. Do follow a minute-by-minute agenda, or do you tend to be flexible? To me, facilitation is a balancing act. In my sessions, the destination is decided ahead of time. How we get there is where flexibility comes in. Throughout a program, part of my job is to read participants and responding accordingly. In practical terms, this means I may use one activity over another, shift the agenda, or add content I hadn’t originally included. You use a lot of activities and exercises. What do you do when one doesn’t work as expected? From time to time, an exercise will take a sideways turn. The key is knowing how to use that surprise. Sometimes the best learning happens when activities don’t go as expected. I like to say, “it’s all in the debrief.” That’s where most of the learning takes place. Like everyone on our team, I read a lot. Every year, I also attend one or two multi-day professional development events. That time being a student recharges my battery and allows me to consider different ideas, reflect, and improve. What would you do professionally if you weren’t in learning and development? I’m doing what I love to do, what I’ve learned to do, and what I’m qualified to do. Honestly, if I didn’t do this, I’m not sure. When I’m not working, I’m baking, cooking, enjoying my animals, or traveling.